7 Tips for Making Classic Iced Tea – Perfectly! Refreshing iced tea – it’s the liquid soul of the South. Savoring that crackling sound of freshly brewed tea being poured over ice is a daily tradition here, and the luckiest iced-tea drinkers have at least one person in the family who makes “the best iced tea.” But what does “the best iced tea” even mean? Well, it’s clear (not cloudy), smooth tasting (not overly bitter), at the perfect brewing strength (not too strong and not too weak) and, if desired, flavored with something citrus and/or something sweet. 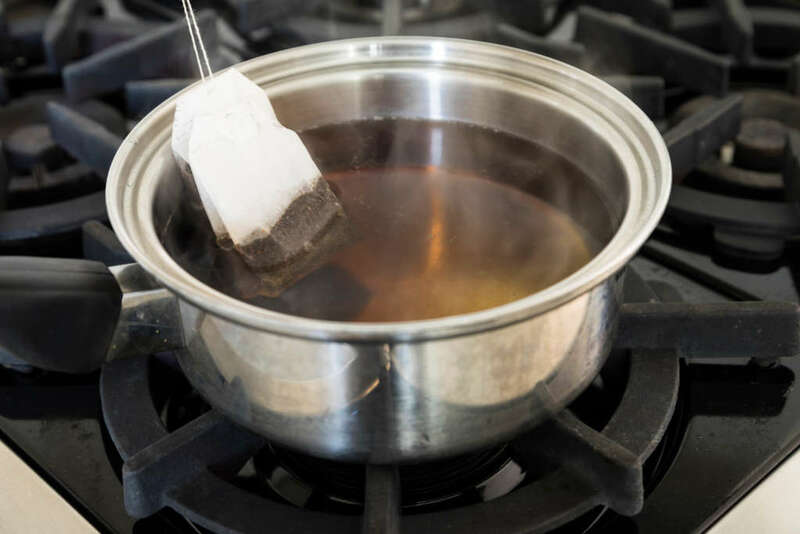 And while making iced tea is a pretty simple process, there are still a few things to know about before you brew, so your tea turns out perfect, every time. Be picky about your tea. High-quality tea that’s specially blended for iced tea is your best option. 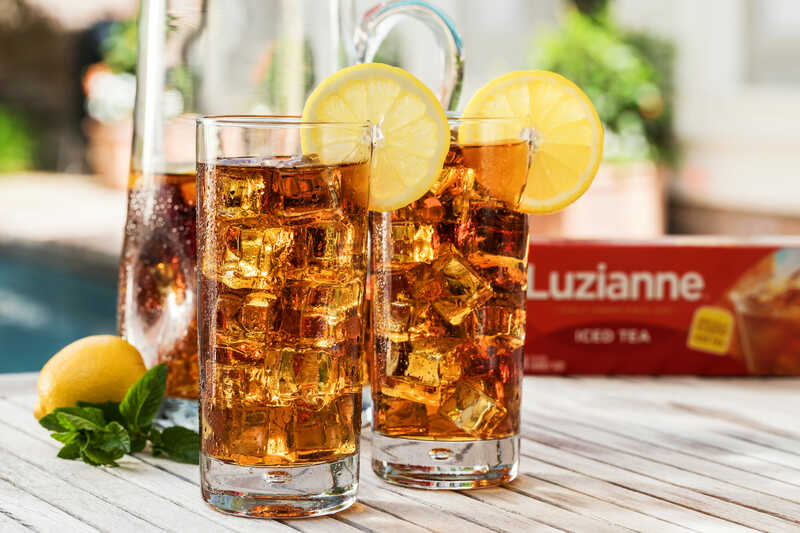 Luzianne® Iced Tea contains orange pekoe black tea, which is the preferred tea type for the classic Southern iced tea we’re talking about in this article. Use good quality, “soft” spring water or filtered water. 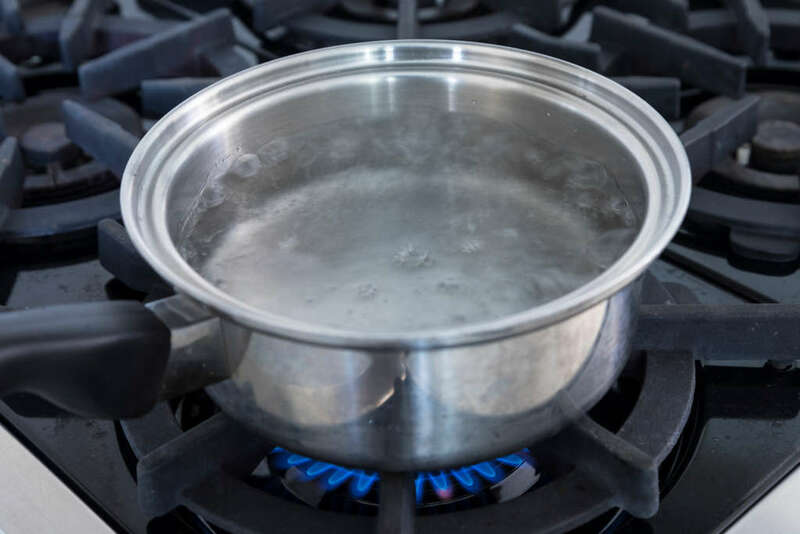 Tap water is often “hard,” with minerals that can cause the tannins and oils in the tea to separate out, which could make iced tea cloudy, especially after it’s chilled. Don’t add tea to actively boiling water. The temperature at which you steep the tea does make a difference! Steeping tea in water that’s still boiling will get you some bitter tea. Black “iced tea” tea, like our orange pekoe blend, is best steeped at 200-212 degrees Fahrenheit. Check your package instructions, but typically 3 to 5 minutes of steeping should be enough for any black tea being used to make iced tea. Beyond that, you’ll lose some of that delicate tea flavor and will be getting into bitter tea territory. Add sweeteners while tea is still warm. If you want real, bona fide Sweet Tea, that’s how it has to be. 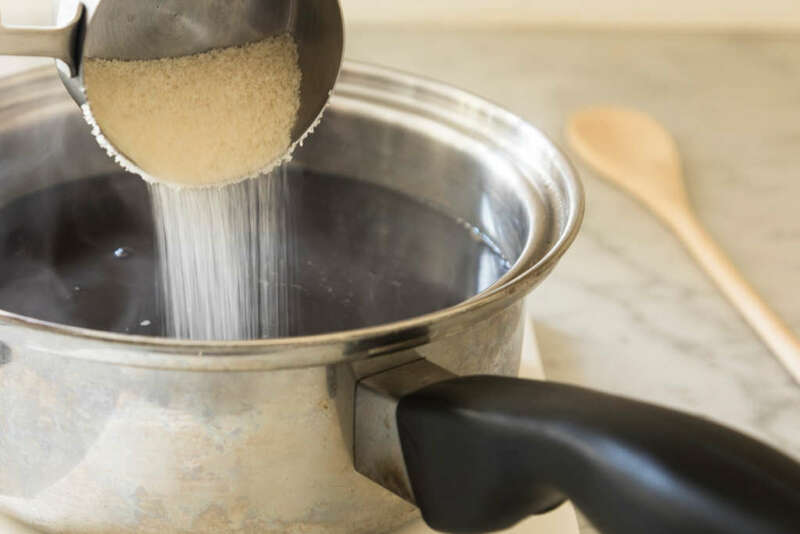 Sugar, honey and other sweeteners (and subtle flavor additions such as orange or lemon zest) dissolve and disperse evenly when you add them to warm tea. Putting hot tea straight in the fridge is another surefire way to end up with cloudy tea. For best results, refrigerate within one hour. That’s right – just say no to garlic tea. 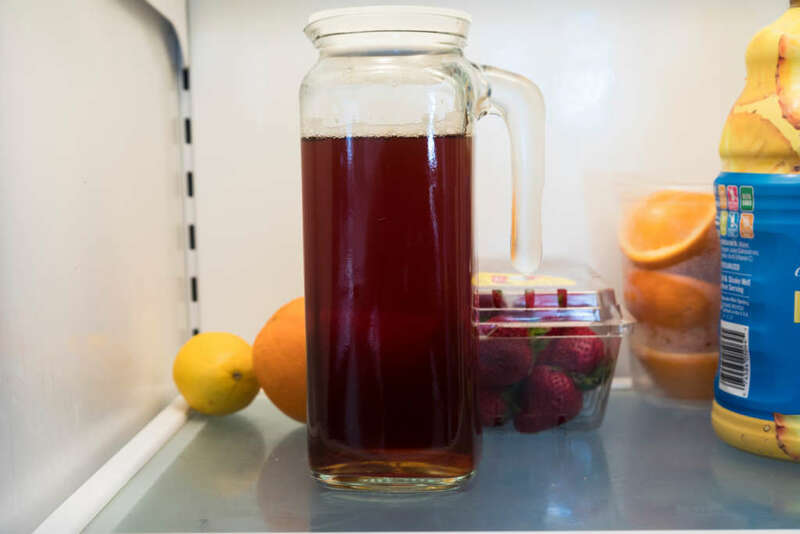 Your delicately flavored, perfect pitcher of iced tea can easily pick up flavors from plastic containers and from foods in the fridge. For best tasting tea, use it within 48 hours.